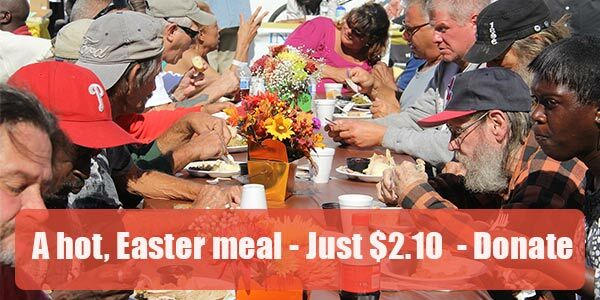 Every $2.10 provides for a hot, nutritious meal for someone in need. We believe that "Hope often begins with a Meal". It is hard to speak to someone about changing their life when they are hungry, tired, and hurting. 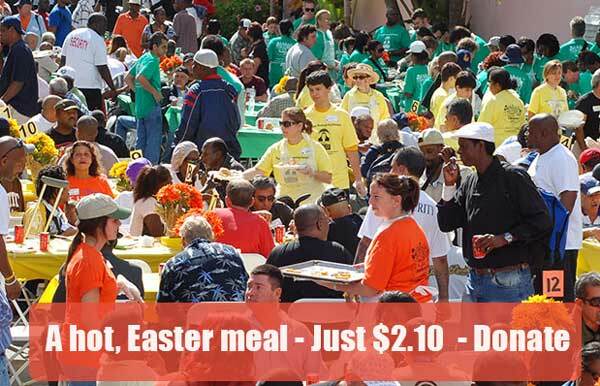 Your gift will bring more than just a meal - it will bring Hope and more importantly an opportunity for a person to experience a new life this Easter and Passover season. 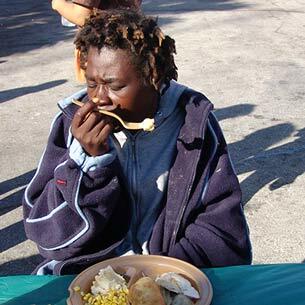 Your gift will bless people who are struggling and will help break the cycle of homelessness.